Im So Sorry Everybody! I am working on putting out better content and their be some soon. Again I lost anyother post becuause i decided to do a post on my phone and the app crashed while i was writing it. I dont get why it did not auto save like usually does but whatever ill try this again. I was basically already done and it was three paragraphs long. This because i want to explain why Im having so many problems with having things to post. Mainly because since my sister passed I completely stopped paying attention to the sport. Let alone the fact that they like interim belts to much. They now have be giving them out like candy and it messes everything up I believe. Also this last few months it seems their are so many new fighters that I have not even heard of and Im going have to learn and watch some more footage to see who these new up and coming fighters are. But besides that I did write before was erased somehow. Errrrrr… That people may thing that by me saying I like the strikers and ground a pound fighters went it comes to styles. That does not mean I do not like to watch Grappling at all. I do not mind a chess match on the ground. I just mind the point fighting Wrestlers and Grapplers who do not fight for submissions or fight to get passed someones guard and they are still not doing any ground a pound thats doing much damage. They just enough to not got stood up. Mainly its obvious now that the point system is a big problem when it comes to let as well as playing it safe and getting their ws. I have no problem with them wanting to win and this is one of the main reasons I like the striking and ground and pound fighters the most (AGAINTHISISMYOPINION) but do not get me wrong I have watched many of the Grappling Championships. For example the one I was most excited to see was Jon Jones vs. Dan Henderson in only Grappling. I really like Dans Grecco Roman type of wrestling and I mean we all know Jones is an unbelieable wrestler. In that format atleast they are forced to want to get some kind of finish. So its not just hear im going to just hold them down, do enough, not to get stood up, and win this fight on control and time of control. Yes grappling is fun to watch at those tornaments. Its a crazy chess match and truly if you make a single mistake at this events you could get tapped out quick. So its actually very exciting. I mean as long as the grappling in MMA is the fighters other fighting to get out using multiple techniques like trying to get a butterfly guard and reversing or flipping your opponent over, and/or they are constantly fighting for a submission, better position, or ground a pounding their oponents hoping for a stoppage, I am completly cool to watch that. I just like to watch the Strikers, the clinch fighting/cage fighting clinches especially, and ground and pound fighters looking for that stoppage and actually taking those chances to get the finish. Thats why, like I said that list original contained my top 10 favorite fighters but it got erased. Rampage Jackson was one of them on that list because not only is he the man, he was in there to put on exciting fight and has even knockout people with his takedowns as well as he is not scared to go toe to toe on the feet with fighters as well and actually came away with the win against some really amazing strikers. I mean I reccomend watching some of his crazy pride fights. This was a lot longer post, I just can remeber what I said and I now im in rush again I truly apoligize. I do want to add some more history post so look for that in the future as well as a post about my favorite womans MMA Champion/Fighter Rose Namajuanas since I knew she would be champion since I saw her youtube videos year ago and then on the Ultimate Fighter as well. Just look at her style, she goes for the finish and is always moving whether it is standing or on the ground. So ill deffinatley try and get a post on that soon as well as some more history. I am also kind of getting tired of the UFC and the way that its been kind of boring in some ways and they have also been going crazy with this interim belts anymore that its just making me go crazy. But again Im sorry everybody. More post coming soon if you have any ideas or things or would like to see just let me know in the comments. O well I just remebered I wrote something about another one of my favorite fighters Bas Rueten, hopefullly I spelled that right. He truly is a legend and if go on his youtube he will actually commentate his own fights such as Pecreaus etc. and its actually amazing. I know i wrote more than but Im sorry Im in a rush now. But Ill post something else soon. Especially since im actually hyped about these fights this weekend. Let me know your picks for winners down in the coments. Thanks everybody. 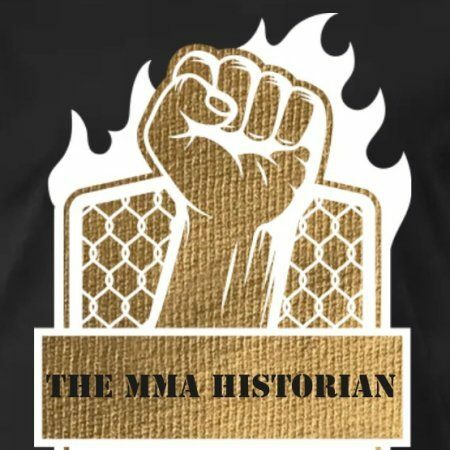 Help The MMA Historian & His Family! After a tough couple of months it's been hard for my family and I. I have not had motivation to post after losing my sister but starting in June I will back. You could really help my family and help our financial situation and also give me more time to post as well as post better blogs as well. PreviousI’m Sorry Everybody! I HAD TO RESET MY LAPTOP AFTER AN UPDATE.